In a laugh-out-loud tweet this morning, Globe and Mail online politics guy Stephen Wicary (@wicary) made the jump from this to a classic scene in American Psycho, Bret Easton Ellis‘ satire on the shallowness of the 1980s, in which a bunch of Wall Street sharpies compare their business cards. Don’t come knocking on Malcolm Allen‘s door until after October 6. The NDP MP from Welland, Ont., has closed up his Parliament Hill office until after the Ontario provincial election. A note on the door refers visitors to his constituency office, which remains open. 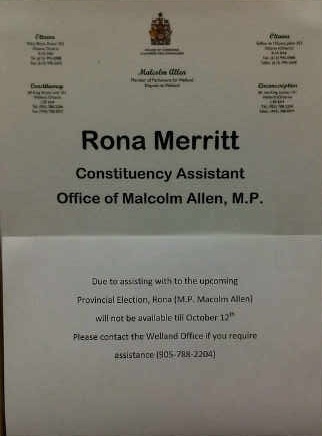 Apparently, Allen’s Hill staffer, Rona Merritt, has taken leave to help out with the Ontario NDP campaign. The Access to Information and Ethics Committee today passed Conservative MP Dean Del Mastro‘s motion to begin calling witnesses to testify about the Canadian Broadcasting Corporation’s record on Access requests. On the witness list are CBC president Hubert Lacroix and Quebecor boss Pierre-Karl Peladeau. But the Tories have taken the bizarre step of calling as witnesses Sun Media journalists who regularly write and comment on the CBC — Brian Lilley and Ezra Levant. Sun Media is apparently relevant to this inquiry because it has filed hundreds of ATIP requests to the CBC. I’ll leave it to readers to decide on whether this is because Sun papers are crusading for accountability, or whether a de-funded CBC is congruent with Quebecor’s corporate interests, or both. Sun Media contends, not without evidence, that the CBC is obstructing ATIP requests by using its journalism exemption to deny requests on a wide range of topics, such as the costs of an invitation-only CBC party for celebrities at the Toronto Film Festival. Del Mastro contends that the CBC is wasting taxpayer’s money by fighting in court against Information Commissioner Suzanne Legault. Legault went to Federal Court over CBC’s refusal to give her access to certain records so that she can determine whether they can be legally released under the Access to Information Act. Similar issues of the Information Commissioner’s right to examine documents came up in the “agendas case,” which pitted then Info Comm John Reid against the Jean Chretien government. In the CBC case, the Federal Court ruled in Legault’s favour, but the Mother Corp. has appealed the ruling. Amazingly, Del Mastro wants the judge who made that ruling, Mr. Justice Richard Boivin, to testify before the ethics committee, too. He won’t, of course. But I digress. The fascinating question is whether Sun Media will allow its journalists to testify before a parliamentary committee about their journalism. That would be, as far as I can tell, largely unprecedented. When he was a Canwest executive, my current editor, Gerry Nott, testified before a parliamentary committee exploring media concentration, but he spoke only about our corporate practices and start-up of our national news service. And On The Take author Stevie Cameron was called to testify about the Airbus Affair, but again, it was about her role as a confidential informant, not as a journalist. If Lilley and Levant appear, they will be exposed to questions about their journalism by opposition MPs. It would be, I’d dare say, an interesting committee hearing. And yet to be announced representatives of Bell Media, Rogers Media, Shaw Media and the Canadian Taxpayers Federation. Bob Dechert, right, laying low in the House of Commons on Monday. Conservative MP Bob Dechert hasn’t spoken publicly since revelations about his amorous emails to a Chinese journalists surfaced earlier this month. Dechert put out a statement on Sept. 9 saying the “Love, Bob” emails sent to Xinhua News Agency Toronto correspondent Shi Rong were only “flirtatious” and insisted his relationship with her was but an innocent friendship. Since then, radio silence, even as Shi relocated back the Middle Kingdom. Dechert has been in the House of Commons this week, but has so far evaded reporters who might want to ask follows up questions about the relationship, given that it reportedly triggered CSIS and RCMP investigations to ensure state secrets were not passed onto Xinhua. Dechert hasn’t been seen in the foyer outside the House of Commons before Question Period, where MPs traditionally enter, nor could he be seen arriving for Wednesday’s Conservative caucus meeting in Centre Block. 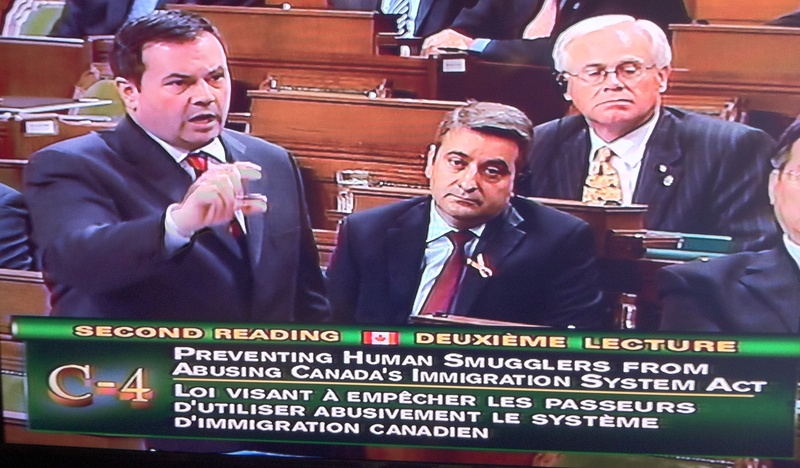 Yet, Houdini-like, he appears in the House chamber and can be seen CPAC coverage whenever a minister in front of him stands to speak, even as he remains elusive to reporters mere metres aways, outside in the foyer. Today, my Press Gallery colleague Tom Korski, a Hill Times columnist, spotted Dechert arriving before Question Period via the loading dock at the back of Centre Block, in an apparent attempt to further dodge reporters. Dechert pulled up in the back front seat of a maroon coloured mini-van, driven by a person unknown (as a parliamentary secretary, Dechert does qualify for a car and driver). Korski managed to get off a few questions before Dechert fled inside through the loading bay at the back of the building. There you go. An MP, accountable to the people. Did Toews know about Dechert probe? Citing unnamed sources, CTV News’ Bob Fife reported Sunday night that both the RCMP and CSIS have investigated Conservative MP Bob Dechert and his relationship with Xinhua News Agency reporter Shi Rong. This well could be the fig leaf that allows the Prime Minister to relieve Dechert of his duties as parliamentary secretary to the foreign minister — cashiered for bad judgment, not a security breach. No harm, no foul. 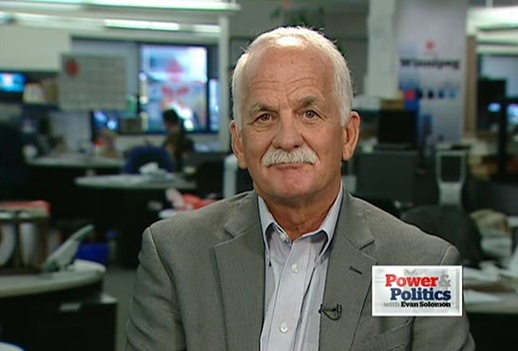 But the story seems oddly contrary to comments made by Public Safety Minister Vic Toews, who was asked about l’affaire Dechert by Evan Solomon on CBC’s Power and Politics on Thursday (around the 25 minute mark). Toews is the minister responsible for CSIS and the RCMP, and were a political figure under investigation, one presumes he would know about it. Solomon persists, asking again if there had been investigation beyond asking Dechert whether he did anything wrong. Another email sent out from Xinhua reporter Shi Rong‘s email was referenced by both The Star and Globe and Mail today. (Good on them). Again, the identify of the sender is unclear but all signs point to Shi’s aggrieved husband — we think he might be named Liu — who was unhappy with what he believed was his wife’s affair with Conservative MP Bob Dechert. You know the backstory by now. [TRANSLATION] Rong’s husband discovered these problems, after many failed/unsuccessful persuasions to stop/end (it), thought about contacting Xinhua the employer who had sent her abroad, to express reaction to this situation. Shi Rong has been praised many times by the head office, while also facing the end of her term and related problems, for fear this will affect her future development/growth, actually called 911, using domestic violence as the crime to send her husband to jail, and a court case that lasted five months. What kind of woman is this? This kind of woman is very scary! 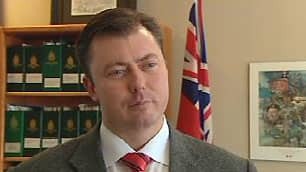 On the subject of Chinese honey traps, consider the illuminating comments Conservative MP Rob Anders made last year in the Epoch Times, shortly after CSIS director Richard Fadden warned that foreign spies were courting Canadian politicians. I have pulled the highlights of Anders’ quotes from the Epoch Times piece. A few cautions here: Neither Anders nor the Epoch Times are particularly friendly to the Chinese government. Anders once wore a “Free Tibet” shirt to a reception for Chinese officials on Parliament Hill. 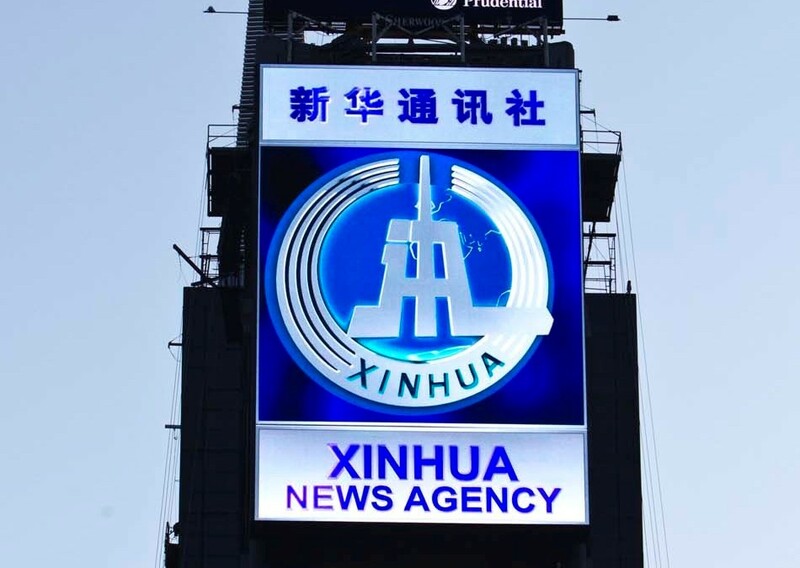 The Epoch Times is part of the Falun Gong-linked media empire that rails against the Communist Party of China. Not sure how I missed this but props to the Falun Gong house organ, the Epoch Times, for spotting the preamble, written in Chinese, at the top of the leaked emails about Conservative MP Bob Dechert and Xinhua News correspondent Shi Rong. To continue her love affair with this member of parliament, Shi Rong pitilessly asked to end her marriage while stationed overseas. This is the Shi Rong you should know about. One might well assume this was appended to the top of the email by the person who allegedly hacked Rong’s Gmail account — she alleges it was her husband, and Dechert has said the email was hacked in the course of an unspecified domestic dispute. Now, this is of course no evidence of an affair that would contradict Dechert’s claim that his relationship with Shi was an innocent friendship, a flirtation. But, clearly, whoever sent out the Dechert-Shi emails to her contact list believed theirs was a love affair that compelled her to ask for a divorce. Mr. Dechert has denied any inappropriate behaviour. We have no information to suggest otherwise. Shi Rong, in order to love this member of congress, does not regret requesting to end the currently existing marriage relationship during time posted abroad, this is the Shi Rong you should understand. In order to love this MP, Shi Rong has not hesitated to ask to end her marriage while posted abroad, this is the Shi Rong you should know about. That suggest, to me, there might be more emails to come. I’m not a crime reporter and didn’t have not much experience doing “pick ups,” when I was sent to Montreal. So I was incredibly grateful when the De Sousa family let me into their home the day they learned their daughter had been killed at Dawson College. Her mom was particularly graceful at an awful time. 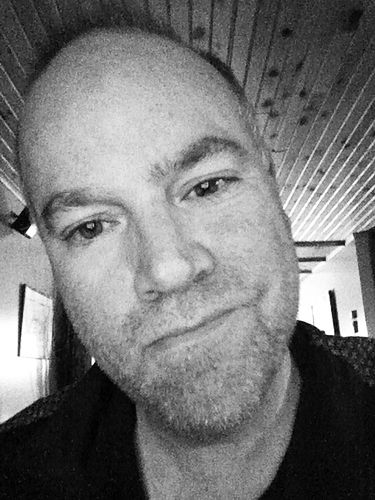 MONTREAL – Standing at the foot of the stairs in her Montreal-area home yesterday, Louise DeSousa clutched a four-by-six photograph from prom night and spoke about the bubbly and sociable daughter she had just lost. “She was the one who got a party going,” Ms. DeSousa said, her voice wavering slightly as she carefully enunciated in the past tense. “She always tried to help me — except for cleaning her room, but that’s OK,” Ms. DeSousa said, smiling for just a moment. Anastasia DeSousa, 18, was a first-year student who began studying at Dawson College in the international business program in August. She was shot during the attack at the CEGEP on Wednesday and died at the scene. Family members yesterday gathered in the attractive home in the suburb of Laval where Anastasia lived with her parents, sister and brother. Ms. DeSousa held up the photo, showing an attractive, petite blond woman wearing a pink dress and surrounded by a group of handsome young men. But Anastasia, she explained, had a steady boyfriend, Nick, whom she adored. They had been seeing each other for three years. The couple talked on the phone constantly. Anastasia had graduated from St. Pius X Comprehensive High School two years ago and spent the following year working as a sales verifier for a telemarketing company while taking math courses at night school. She suffered from dyslexia, a learning disability, but worked hard to improve her grades. She was excited to be studying at Dawson. Anastasia enjoyed international travel. She went to Europe on a class trip in high school, according to her aunt, and in July, took a holiday in Cuba with friends. Her sister, Sarah, 16, said Anastasia loved going to downtown nightclubs such as Systems, Club 737, Dome and Opera. “She like classy clubs,” Sarah said. She liked dancing to hip-hop, reggae and salsa. “We were best friends,” Sarah said proudly. Anastasia’s room is painted bright pink and most of her clothes are pink, too. “When you open her drawers, all you see is pink,” Sarah said. The family joked that Anastasia’s colour preference was a holdover from playing with Barbie dolls as a child. “She was our princess,” one relative called out from the kitchen. As his relatives buzzed around, Nick DeSousa, 11, sat on the stairs and peeked through the railing. He said he would remember his big sister as someone who “would always take me places,” like out to lunch at McDonalds or to buy video games. Her grandmother, whom Anastasia addressed with the Polish term “Babcia,” yesterday held up copies of poems her granddaughter had written for her, printed in flowery pink script. She pointed at several images of Anastasia as a child in a framed collage of family photographs the young woman had made for her. “That’s her, that’s her, and that’s her,” she said, weeping. Louise DeSousa yesterday described how, on Wednesday morning, she had gone into her sleeping daughter’s bedroom and kissed her on the cheek before leaving for the day. Anastasia spent half an hour at home, working on an English paper, then rushed off to take the Metro to school. Although she got her driver’s licence last year, she usually took the subway or train downtown. Her father remembers smelling her perfume after she left. When they heard about the shootings at Dawson, family members repeatedly called Anastasia on her cellphone, but couldn’t reach her. The phone company used a global positioning system chip to track the handset. It showed the phone was still around the college. The DeSousas went to the Montreal General Hospital to look for Anastasia, and asked reporters at the emergency room for help locating her. Family members yesterday complained that information was slow to come from the police at the hospital, while Montreal broadcast media ran with the story of the young woman’s death. “Everything was hush-hush,” Mr. DeSousa said. The police eventually told the family that they believed a body found at the college might be their daughter and warned them to prepare for bad news. The worst was confirmed when the Surete du Quebec positively identified her using scars from surgery she had had for scoliosis, a curvature of the spine. Anastasia’s aunt and godmother, Natalya Hevey, said the family was frustrated they hadn’t been able to get more information about the shooting. “We don’t know if she died instantly. We don’t know if she was in pain,” she said. Yesterday morning, the DeSousas were preparing for a horrible errand: a trip to the morgue to identify a photograph of their daughter. They said they had never heard of Kimveer Gill, the alleged gunman, and said Anastasia had no involvement with the “Goth” subculture that Gill apparently favoured. “She was too perfect and beautiful,” her mother said.